MARSHALL Munetsi believes they have done enough to be part of the 2019 AFCON finals in Cameroon. 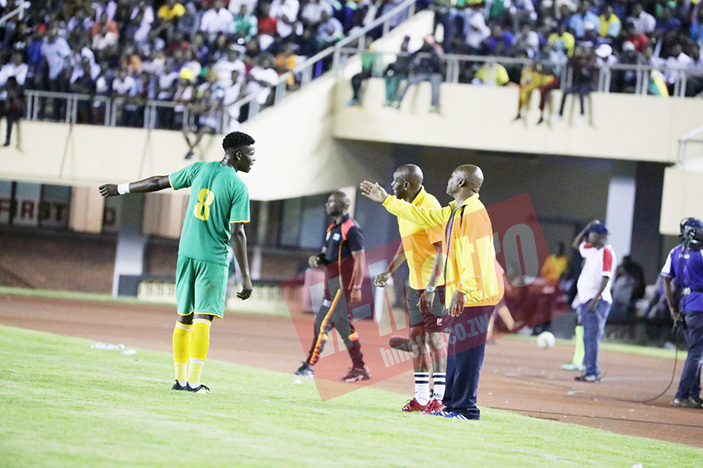 The 1-1 draw on Tuesday left the Warriors with eight points on top of Group G after collecting a remarkable four against the Leopards of DRC. The Orlando Pirates man praised the hard work by the Warriors in the defining back-to-back clashes where players came out of their comfort zone to help the team. “It was tough and challenging, two games no one expected us to collect four points from those games but we did our best, from the technical team and to the players all of us worked hard to give the nation something to talk about and be happy about. “I think in terms of performance we matched them and physically also and l think the tactics of the coach really helped us to get all four points,” he said. Liberia away and Congo-Brazzaville at home remain for the Warriors in a tightly contested group. The Warriors will obviously take motivation from the fact that two teams will qualify from the group. “We just have to maintain the momentum and make sure we give our best in the two remaining games,” Munetsi said. The midfielder praised the supporters for giving a statement with a notable attendance. “It was really a big boast for us as players to have the huge crowd behind us and they were really the 12th man and we thank them for that and they should continue to support us and believe in us and once again thanks to the players for the hard work and dedication with the team spirit that we had to march past the DRC ranked third in Africa,” he said.